Nintendo Drops New Legend of Zelda Trailers Before NX Reveal | Nerd Much? Nintendo is looking to make October 20th Nintendo Day. After revealing last night that the Nintendo NX reveal would be happening this morning (just an hour away when writing this), Nintendo released three new The Legend of Zelda trailers early this morning to get the hype machine up and running. And, man, did they succeed. 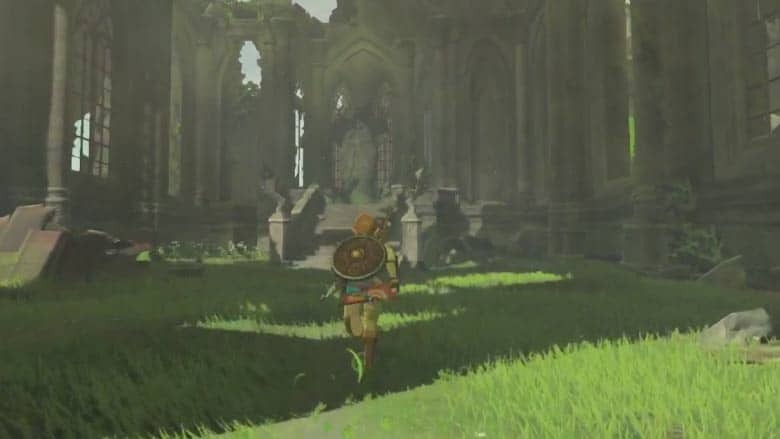 The new game trailers give us an in-depth look at what to expect from the upcoming Zelda game, including incredible weather effects (there’s even a lightning strike at one point!! ), impressive and varied environments, surf gliding (you’ll see what I mean), and glowing rock formations. We’ve embedded one of the trailers above, and you can check out the other two over at IGN. After not hearing anything new about Zelda since E3 2016, the hype machine is now back up and running for Breath of the Wild. We can’t wait to see what the gaming giant has in store for us in an hour with the NX reveal. With The Legend of Zelda, the Nintendo NX, and Red Dead Redemption 2 all being a big part of our morning, today is going to undoubtedly be a great day. For more of the latest gaming news, stay tuned to Nerdmuch.com. You can also follow us on Twitter for our reactions throughout the day.